Drug and alcohol addiction can destroy friendships, families and lives. Living with someone who is abusing drugs or alcohol can be incredibly stressful and difficult. It is natural to feel alone, scared, angry and overwhelmed. Whether it’s a friend, coworker or family member, watching loved ones damage their health and jeopardize their future is a painful and frustrating experience. Despite continued efforts to reduce substance abuse, illicit drug use among Americans is increasing. In 2012, an estimated 23.9 million Americans age 12 or older reported that they had used an illicit drug or abused a psychotherapeutic medication (such as a pain reliever) in the last month, according to the National Institute on Drug Abuse. Unfortunately, only one in 10 Americans with a substance abuse disorder is currently receiving treatment. 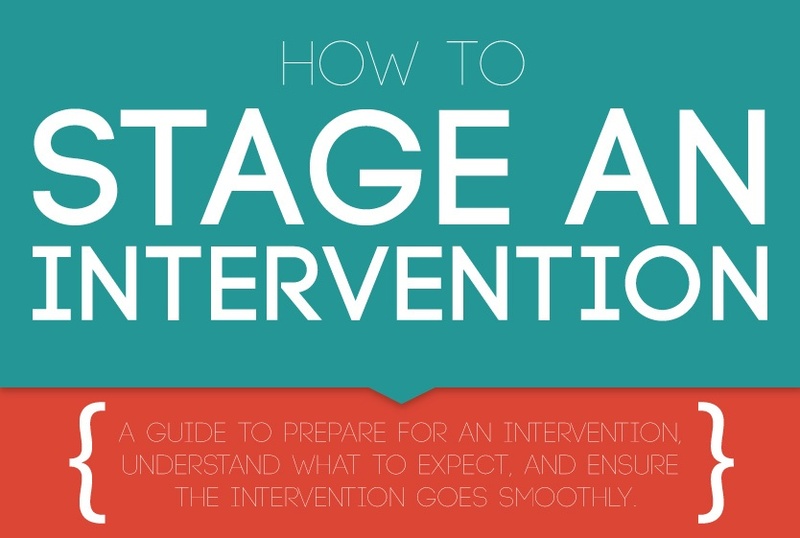 Staging an intervention can help an individual who is abusing drugs recognize that he or she has a problem and take the first steps towards seeking treatment. Drug and alcohol abuse can have a serious and lasting impact on an individual’s life. Not only does addiction damage relationships with friends, family and coworkers, but drug and alcohol abuse also can cause serious physical harm to an individual’s body. Individuals who abuse alcohol, for example, are at greater risk for cirrhosis of the liver and may ultimately need a liver transplant to save their lives. Several scientific studies have also identified a connection between alcohol abuse and an increased risk for throat and esophageal cancer, especially for individuals who smoke. Women who abuse alcohol are at increased risk for breast cancer. Heroin is a highly addictive and commonly abused drug. Individuals who abuse heroin suffer from a compulsive need to scratch or pick at their skin (called “itchy blood”). While users may initially turn to heroin as a way to block emotional pain, over time, individuals become chemically dependent on heroin to experience any pleasure sensations. Even short-term heroin abuse can inhibit the brain’s ability to naturally regulate feelings of pleasure and pain. Additionally, individuals who abuse heroin are more likely to share needles, increasing the risk for contracting diseases such as HIV and Hepatitis. Prescription drug abuse can also cause serious damage to the body. While prescription painkiller abuse may initially seem to be less dangerous than drugs like heroin or cocaine, this is not the case. In fact, more than 120,000 Americans end up in the emergency room each year from prescription drug overdoses, according to the American Society of Interventional Pain Physicians. Sadly, more Americans die each year from prescription drug overdoses than from cocaine and heroin combined. The physical damage caused by alcohol, heroin and prescription drugs are just a few examples of the many ways that drug and alcohol abuse can have a serious impact on an individual’s health. Worse, individuals who abuse drugs or alcohol are not only putting their own lives at risk, but they are also jeopardizing the lives of others. For example, individuals who drive while under the influence of drugs or alcohol are more likely to be in traffic fatalities than sober drivers. Every day, nearly 30 Americans are killed in motor vehicle accidents involving an alcohol-impaired driver, according to the Centers for Disease Control and Prevention. Alcohol-impaired drivers cause one death every 48 minutes. In 2010, 10,228 Americans died in alcohol-related traffic accidents and more than 1.4 million drivers were arrested for driving under the influence. While it may not be physically possible to stop someone from abusing drugs or alcohol, it is absolutely critical that individuals do everything possible to help their loved ones recognize that a substance abuse problem exists and to encourage them to seek help for this problem. The longer a loved one abuses drugs or alcohol, the more damage will be inflicted upon his or her body, and the more difficult it will be to stop abusing these substances and seek treatment. Individuals do not need to hit “rock bottom” in order to seek treatment; treatment can be successful for individuals at any time. Enabling a loved one’s addiction not only hurts this individual, but also puts the lives of other’s at risk. Making excuses for a loved one’s behavior will only enable him or her to continue abusing drugs, needlessly jeopardizing his or her own life and the lives of others. Accepting the truth about a loved one’s addiction is a difficult but necessary step toward helping a loved one get sober. Otherwise, even with the best intentions, it is all too easy to enable a loved one’s behavior. 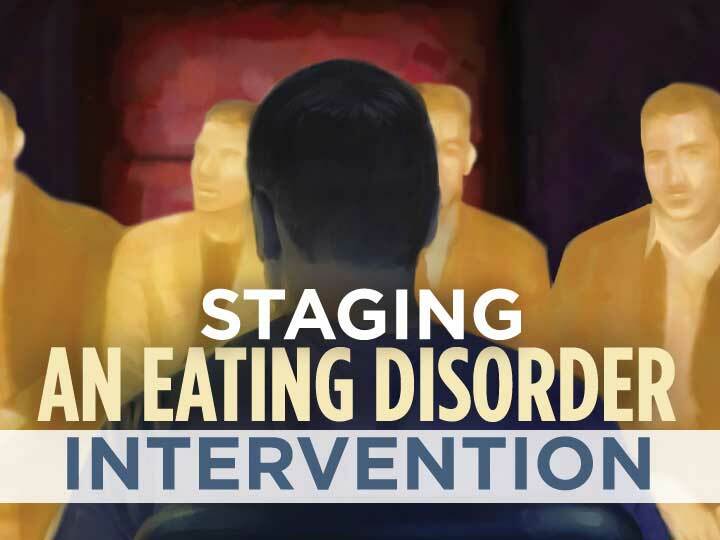 Staging an intervention is far from easy; expect the intervention to be an emotionally challenging experience that may bring up past problems and pain. Prior to staging the intervention, reach out to a drug counselor or an addiction specialist at a rehabilitation center for support. Individuals who are addicted to drugs or alcohol may go to great lengths to deny or hide their addiction. Oftentimes, these individuals are not receptive to an intervention, even when it is clear that they need help. 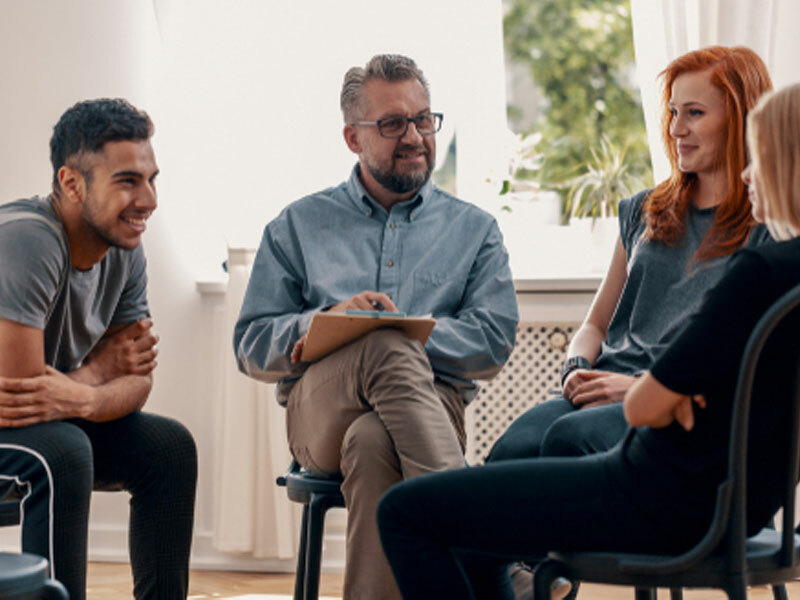 A drug counselor or addiction specialist can coach intervention participants so they know what to expect and how best to prepare for any situation that may arise. While it is important to do everything possible to stop enabling a loved one’s addiction, when staging an intervention, it is just as important to put one’s own personal health and safety first. Individuals who abuse drugs or alcohol are also more likely to behave in an irrational or erratic manner when they are under the influence. Consequently, these individuals are more likely to respond in a hostile or even violent manner to an intervention, and can endanger the safety of everyone involved. This is why it is absolutely critical to stage an intervention when the individual in question is sober. If one ever feels unsafe because of a loved one’s addiction, immediately remove oneself from the situation. No two people are the same, and consequently every intervention will be slightly different. In all likelihood, the person who is staging the intervention knows his or her loved one very well. Use this knowledge to identify what will best motivate the loved one or enable this person to recognize that he or she has a substance abuse problem. In some cases, the loved one may have lost custody or visitation rights to see a child. Other times, a marriage may have ended or an individual may have been fired from his or her dream job. In some cases, there may not be a single “rock bottom” moment. However, this does not mean that one needs to wait for a loved one to hit rock bottom in order to stage an intervention. The following nine “dos and don’ts” will help an individual prepare for an intervention, better understand what to expect during this intervention, and also help ensure that the intervention goes as smoothly as possible, given the circumstances. DO plan what to say in advance. Prior to staging an intervention, take some time to think about what should be said. Practice with a drug counselor, a close friend or a religious/spiritual leader. It may help to write out what one wishes to say and even bring a copy of this to the intervention. Pre-planning is important for two reasons. First, it is an opportunity to write out exactly what one wishes to say. Secondly, by rehearsing with a friend or other individual, it is an opportunity to practice delivering the message in a calm, even and measured tone, which is essential for an emotionally charged intervention. DON’T talk to a loved one when he or she is under the influence of drugs. Individuals who are under the influence of drugs or alcohol can be emotionally and physically volatile. They are unable to listen to logic or reason, and are more likely to become hostile, upset and erratic in response to the intervention. Similarly, when individuals are suffering from withdrawal symptoms, they are physically and emotionally in an unhealthy place; in fact, there’s a good chance that the only thing they will be thinking about is how they can get more of their substance of choice in order to ease the pain of the withdrawal symptoms. Whenever possible, wait until a loved one is sober and not suffering from withdrawal symptoms before staging the intervention. DO express concerns calmly and rationally. In a calm, even tone, explain how the loved one’s behavior is hurting himself or herself and impacting others. Express concern for the loved one’s health and future. If at any point during the intervention participants feel that their emotions are slipping out of control, they should take a deep breath, drink a glass of water and try to re-focus. DON’T beg, plead, yell or cry. Begging, pleading, yelling and crying are sure-fire ways to derail an intervention. While an intervention is a very emotional experience, it is important to keep feelings in check during this process as much as possible. Speaking calmly will also help the loved one understand that people are on his or her side. Do not yell or otherwise verbally attack the loved one. Losing emotions means that one also loses control over the intervention. DO listen to what the loved one has to say. While it may be difficult to hear a list of familiar excuses, it is important that the individual who has been abusing drugs or alcohol is given an opportunity to speak. This does not mean that one must accept a loved one’s excuses for his or her behavior. However, giving a loved one an opportunity to respond to what has been said is important when facilitating a constructive conversation. Let the loved one know that everyone cares about what he or she has to say and that everyone at the intervention is there to help. DON’T accept a loved one’s excuses. After a loved one is given an opportunity to respond to the concerns that have been raised, encourage the loved one to take responsibility for his or her behavior. While some people may be willing to admit that they have a drug or alcohol problem, others may continue to deny the problem. If the loved one denies that he or she has a problem, one approach is to address specific incidents. For example, individuals at the intervention could tell the loved one how his or her inability to be sober at a family wedding or show up on time for work is affecting their lives. Taking responsibility for smaller problems is essential to acknowledging that a bigger problem exists — and ultimately the first step toward recovery. DO offer the loved one with treatment options. Finding a treatment center can be logistically difficult, especially if a loved one must balance financial concerns associated with treatment and geographic constraints. Prior to the intervention, take the time to research different nearby treatment options where a loved one’s insurance will be accepted. If possible, present the loved one with different treatment programs during the intervention. Explain that everyone at the intervention is there to help him or her find the right program to meet his or her needs. DON’T continue to enable a loved one’s addiction. Explain to the loved one that if he or she is unwilling to seek treatment, the people attending the intervention will not be providing any assistance that could enable the loved one’s addiction. This “tough love” can be difficult, but it is necessary. DO reassure the loved one that he or she is loved and people are here to help. Even if the loved one is not ready to seek treatment or acknowledge a problem, end the intervention by telling the loved one that everyone present cares very much about him or her. Tell the loved one that when he or she is ready to seek treatment, people are willing to help. When a loved one is abusing drugs or alcohol, it is easy to become so caught up in a loved one’s problems that one neglects his or her own needs. It is not possible to help others if one is also not taking care of oneself. Before the intervention, reach out to friends and family members and ask for their support. It may be helpful to talk with a substance abuse counselor or visit a local Alcoholics Anonymous or Narcotics Anonymous meeting. Remember, it is not anyone’s fault that a loved one is abusing drugs or alcohol. No one can control their decisions or force them to change. The loved one must first accept responsibility for his or her actions in order to get healthy and live a sober life. Surrounding oneself with positive support will help avoid self-blame. Before, during and after the intervention, put personal safety and well-being first. One cannot force a loved one to seek treatment. However, one can control one’s own behavior. This includes stopping any behaviors that may be enabling a loved one’s addiction (even if one did not mean for these behaviors to do so). Staging an intervention is the first step toward helping a loved one return to living a productive life, free from substance abuse. Support is essential to addiction recovery. Even if a loved one is ready to seek treatment, “going it alone” can be very difficult. It is easy for a loved one to become discouraged and believe that it is simply not possible to lead a sober life. As part of the intervention, offer to help assist the loved one with the treatment process. Continue this assistance after the loved one completes his or her time at an inpatient treatment center. Additionally, be prepared for the possibility of relapse. Drug and alcohol addiction did not occur overnight, and a loved one may need more than one stay at a treatment center in order to successfully get back on track toward sobriety. Do not give up hope; with the right treatment center, long-term sobriety is possible and achievable.